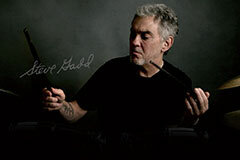 Working with the legendary Artist Steve Gadd, Yamaha have elevated the iconic Recording Custom Series with new design elements, producing a refined focused sound with enhanced rounded and deeper tone. 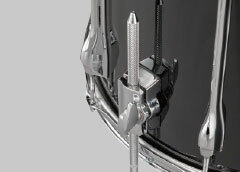 All North American Birch 6 Ply shells with 30 Degree Bearing Edges are complimented by the re-designed Hi Tension Lug that is weighted to enhance lower frequencies. 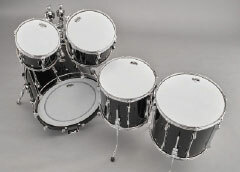 The result is an easy-to-use and easy-to-tune drum set that re-defines the classic signature sound. Suitable for any style of drumming in all situations. ‘For the past 3 years I’ve been meeting with the Research and Development guys at Yamaha with the aim of bringing the Recording Custom Series up to date. 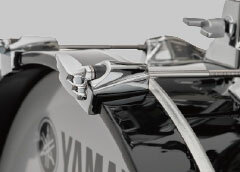 I told Yamaha what I thought throughout the process, the result is that everything is a step up. They still feel like the Recording Custom, when you take them out of the box they don’t feel new, they feel comfortable and I think that’s good. The Bass Drum has a nice fat sound, the drum responds to different heads on it, and my goal was to have a simple Snare Drum design that could respond to a wide range of tuning. I think we did a great job, the new Recording Customs sound great and I think you’ll like them’. The revamped modern design retains the traditional essence of the Recording Custom. 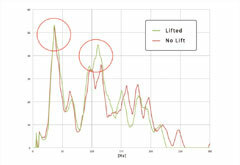 In order to maximum the attenuating properties of the birch wood, we’ve increased the weight of the lug, further enhancing the artist’s expressive power and reducing undesirable noise from the shell without using a mute. This ensures optimum sustain for the core sound, producing a crisp, articulate tone. In addition to their punchy power, birch shells are known to reduce unwanted noise and prevent interference when drums are set up side-by-side. 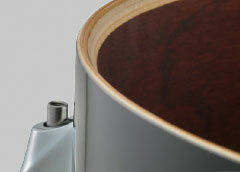 The unique sonic characteristics of birch wood ensure that each stroke is clearly delineated, making it widely considered to be the ideal choice for recording environments. Steve prefers a 20 inch lifted bass drum, so we adopted this specification. 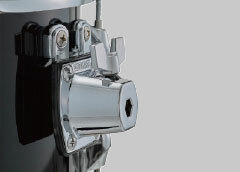 We reduced interference from the floor to maximize the resonance of the shell, and increased the length of the pedal beater rod, centering it precisely to ensure absolute accuracy during performances. 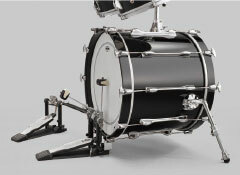 This lifted bass drum produces a more punchy sound and accentuates the sound produced in the core of the shell.